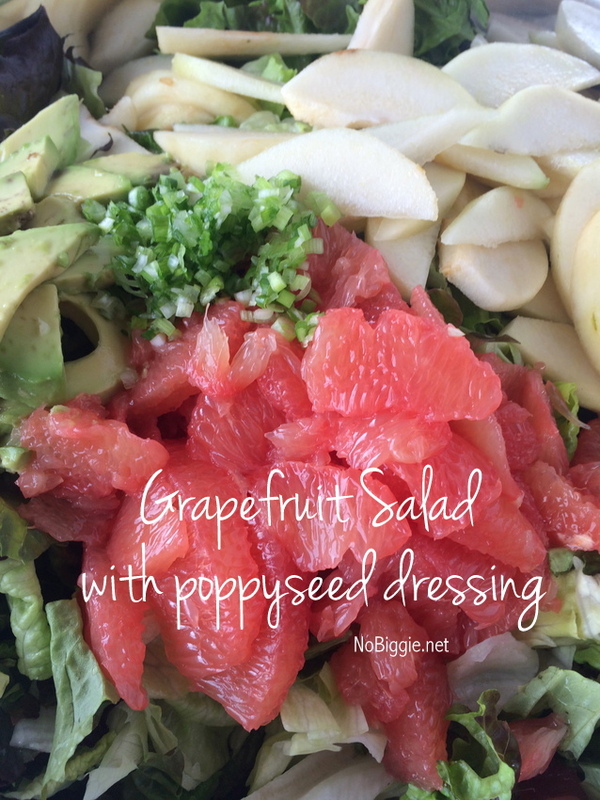 This Grapefruit Avocado Salad is so delicious. It’s a salad you can enjoy all year, because all the ingredients are available year round. 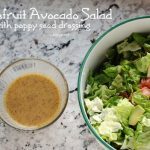 This salad is one of our family favorites. It’s one of those salads that you keep in the rotation. It’s perfect for spring and summer, although it works great in the winter too, because all the fruit ingredients are easy to find year round. The best part of this salad are the grapefruit segments. 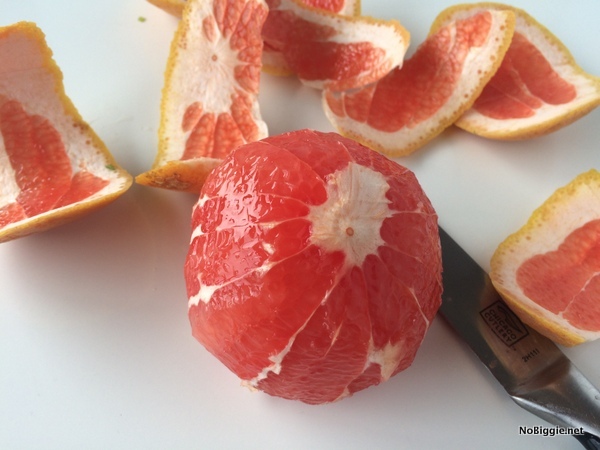 Have you ever segmented a grapefruit or supremed one, as they call it? I was in citrus heaven when I was doing this! Just look at those pretty colors! Here’s the big players minus the lettuce. So colorful and fresh! …and the dressing. 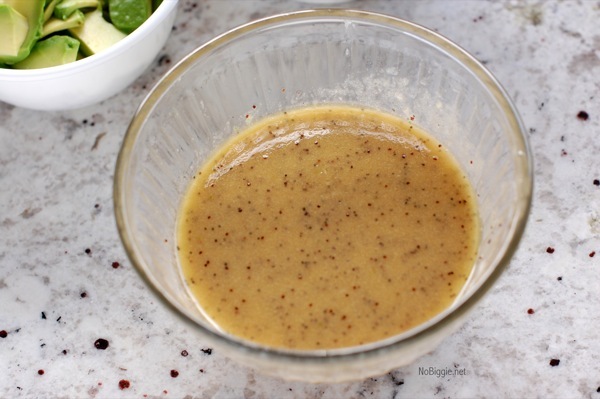 Homemade dressing is the best, and this one is a keeper. 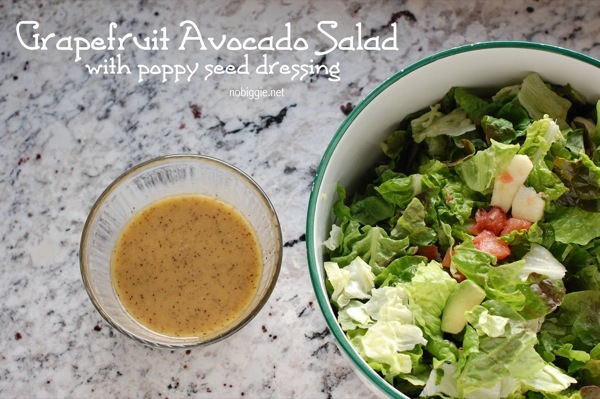 Celebrate the seasonal winter fruits with this delicious Grapefruit Avocado Salad with a Poppy Seed Dressing. Prepare the dressing first. Combine all dressing ingredients in a blender and blend until well combined. Chill in the fridge for a few hours before serving. Toss all the salad ingredients with the dressing right before serving. Prepare the dressing first to give it time to chill in the fridge before tossing. 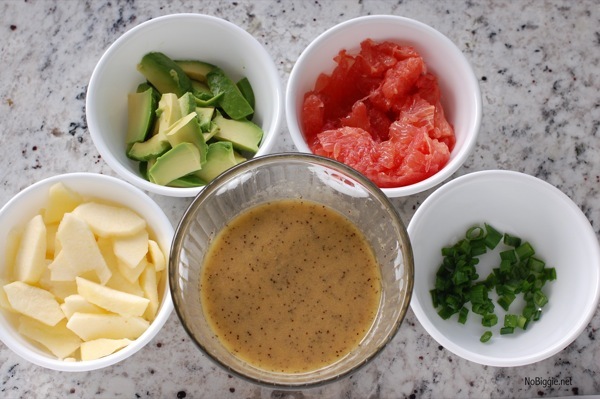 Combine all dressing ingredients in a blender and blend until well combined. Chill for a few hours before serving. Toss all the salad ingredients with the dressing right before serving. Recipe adapted from a Pinch of Salt Lake cookbook (no longer in print)…it’s a great cookbook! That’s it! It’s such a fresh and flavorful salad. You’ll have to add it to your favorites too.